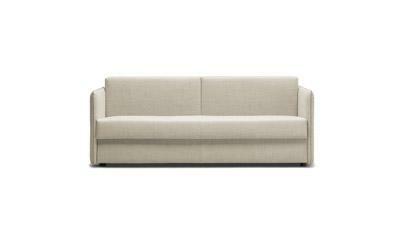 Passepartout is a sleeper sofa that furnishes every room of your home. Choose your cover and color. Add the item to your cart. Do you need some help? Do not hesitate to talk to us. We are please to assist you in answering all your questions. 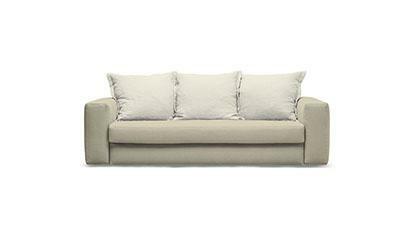 Passepartout is an original and sophisticated sleeper sofa. Thanks to the wooden slat bed stead and to a wide range of available mattresses Passepartout is an ideal sofa bed suitable for every night rest. During the day it is as perfect as other sofas: backrests turned into large feather wrap back cushions and large seats padded with polyurethane foam create a perfect mix of tailor made originality which is ideal to decorate every style and location. By combining fabrics and color you can get a practical and exclusive version of the sofa. Passepartout is available, indeed, with a fabric cover which is completely removable and washable. BertO Shop is online and you can find the quality of our fine upholstery tailoring. Choose sizes and cover, combine the colors add the sleeper sofa Passepartout to your cart. If you need some help or special sizes, please contact us. We will assist you in answering your questions.